Esports, and other games : Partnermedia partners up with the Protea Esports Team. 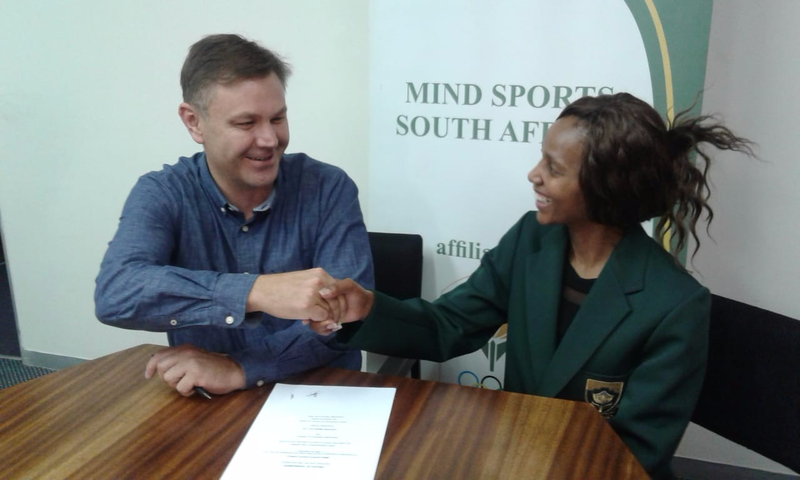 Hansie du Plessis (Partnermedia) shakes hands with Amanda Pakade (Mind Sports South Africa). There is never a shortage of companies desireous to sponsor a Protea Esports Team. After all South Africa has been represented at every IESF World championships since 2009. Thus MSSA always ensures that it has the right partnership for its Protea Esports Team. Partnermedia has proven itself to be the perfect fit for MSSA. Together Partnermedia and MSSA will further develop esports in South Africa on an unprecedented scale. The vision that Partnermedia and MSSA is shared equally by both organisations, and are equally enthusiastic about the future of esports in South Africa. Thus Mind Sports South Africa (MSSA) is proud to announce that Partnermedia is now an official part sponsor of South Africa's National Protea Esports Team that shall attend IESF's 10th World Championships - Kaohsuing City.